Legitimate data entry work from home jobs are a very popular option for those looking for a non-phone work from home job. For this reason, telecommuting data entry jobs may be hard to come by but this company Axion is a great option. Data entry jobs are a great non-phone, flexible job for stay at home moms. If you are a fast typist this might be a great fit for you. Many people looking for work from home have difficulty finding the right work from home job to fit their lifestyle, get frustrated, and give up. The secret to work at home success is finding the right job for you. Some people love sales while others would hate it. If you are someone that needs a position that is not going to require you to commit to working certain shifts, allows you to hop on and off as needed, and does not require a quiet background for phone calls then telecommuting data entry jobs are one option that you might want to look into. Axion is a data entry company that contracts with 3rd party companies that outsource their data entry to them. The clients they work with are in a wide range of industries. Many of the projects are key-from-image where you are entering data from scanned images sent from the client. Axion Data Entry Services contractors work on projects such as loyalty program applications, customer response cards, student records, product registrations and questionnaires. What will I do working for Axion? As a data entry operator you will work as an independent contractor for the company entering data from scanned images you receive. You must have your own computer and high speed internet. Working as an independent contractor means that you are self-employed. Find out what this means for taxes so that you can plan ahead by paying estimated tax payments as you will not have taxes deducted from your paycheck. This also means that you receive no benefits for this position but the upside is that you can work for other companies as well if you need additional work. Agents are paid every two weeks. How do I get hired to do data entry for Axion? Remember that because this is an independent contract position you are not guaranteed a certain pay per hour. Data entry projects are paid on a per piece basis. The faster you type, the more money you will make per hour. You need to really take this into consideration before applying. Some projects may pay as little as $.04 per piece but these types of projects should take less than a minute to complete. Other projects may pay as much as $10 per document but may take much longer to complete. You need to be realistic about how fast of a typist you are and if you can make enough per hour doing data entry from home. Once you have considered the pros and cons of working as an independent contractor and set realistic expectations of how much you can earn per hour then you can check availability for these positions on the company employment page. 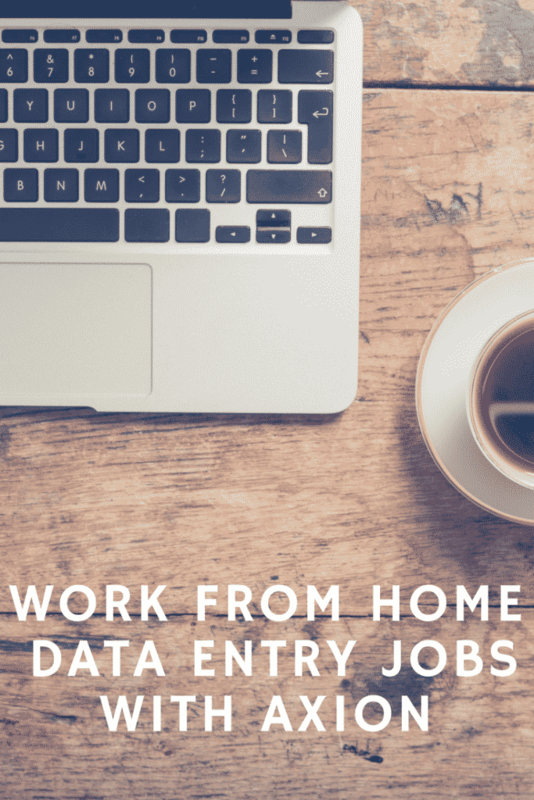 Because data entry work from home is such a sought after job, these positions fill quickly when they do become available. The employment page will tell you if there are currently any openings. You can also visit the Register button on the bottom of that page to provide your information in order to be contacted once there are openings. Sometimes the company will contact those who have registered and fill up any openings they have without ever updating the employment page so is your best bet to be contacted once they begin hiring again. If you have worked for Axion in the past and have feedback on what it is like to work for this company then we would love to hear your feedback.